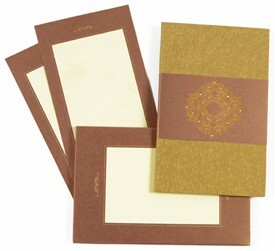 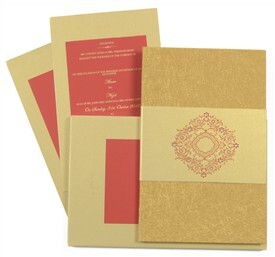 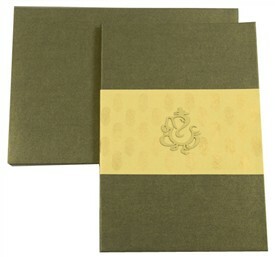 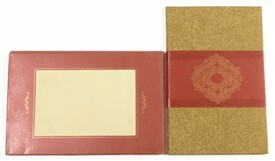 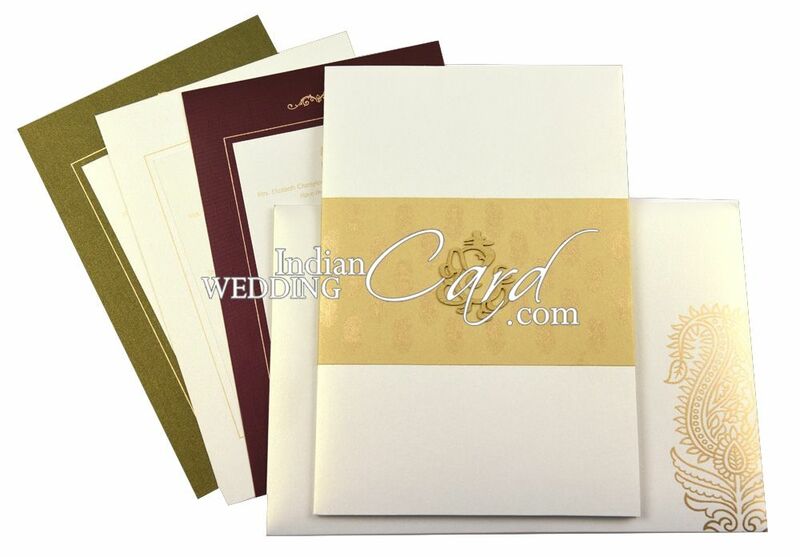 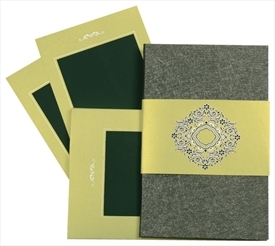 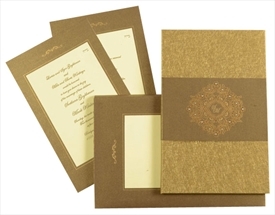 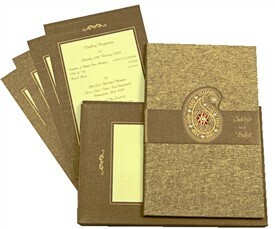 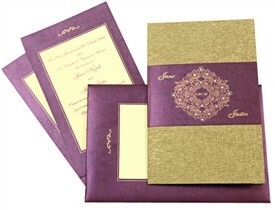 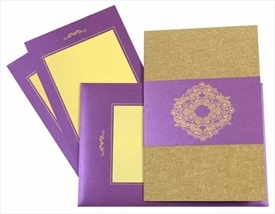 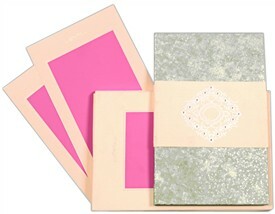 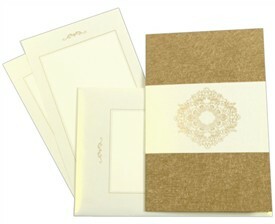 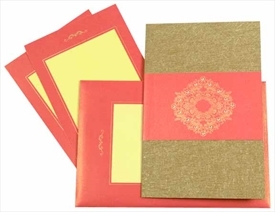 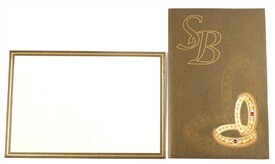 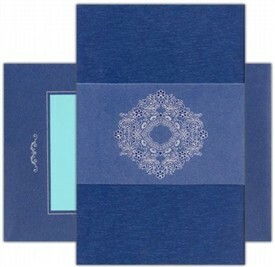 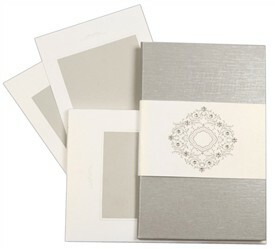 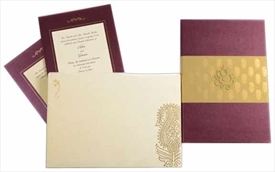 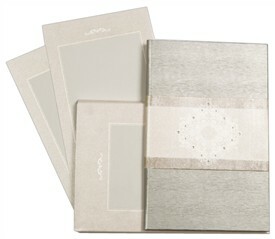 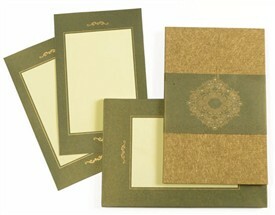 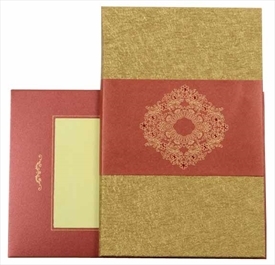 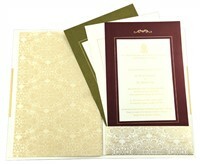 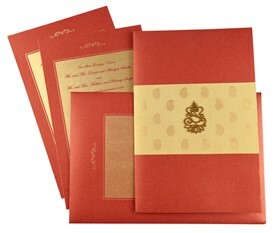 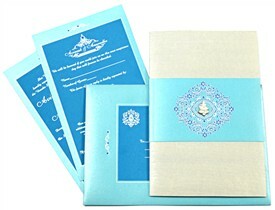 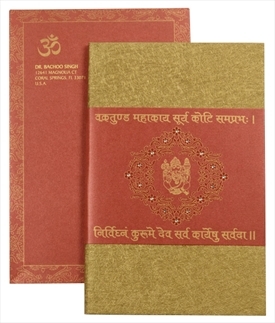 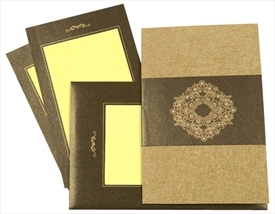 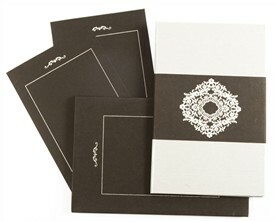 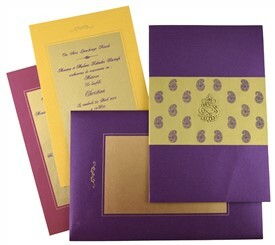 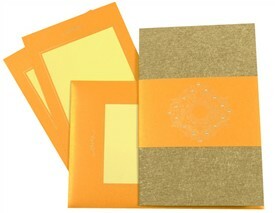 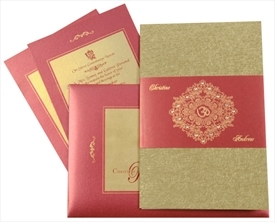 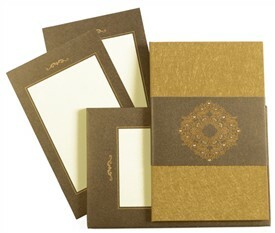 D-6593, White Color, Shimmery Finish Paper, Hindu Cards. 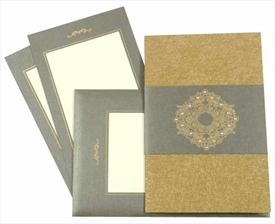 White color shimmery paper (250gsm) for card, mailing envelope, inside right, inside left, pocket and insert top layer paste-up. 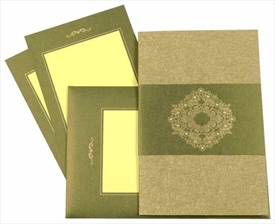 Tracing paper lining on inside of envelope as well as tracing overlay on inside of card. 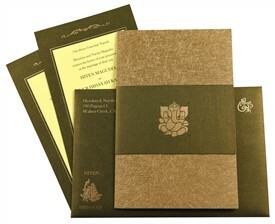 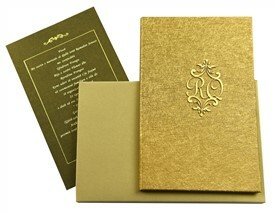 Front band in gold paper with laser cut silver Ganesh on it. 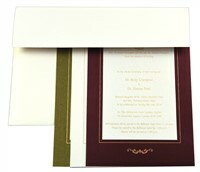 Wine color shimmer paper for base layer of insert.